More proof there appears to be a study into just about everything these days comes new findings into the ideal smile for celebrity endorsements and advertising. The study found a “genuine smile” can boost the persuasive appeal of celebrity endorsers and even counteract negative perceptions of the brand among consumers when the celebrity’s reputation has been tarnished. Monash Business School’s Associate Professor Jasmina Ilicic in collaboration with the University of Newcastle’s Dr Alicia Kulczynski and Associate Professor Stacey Baxter, found that a ‘Duchenne’ smile was seen among consumers as more genuine versus a ‘fake’ smile where only the corners of the mouth are raised. The study, published in the Journal of Advertising Research (JAR), explored the impact of a celebrity with a “Duchenne” smile in a print ad on 340 consumers. 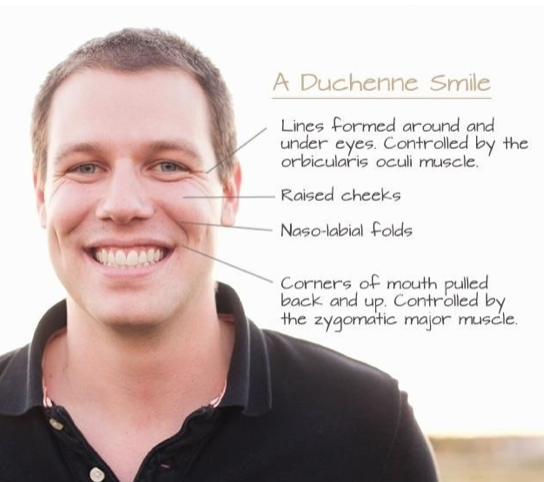 A “Duchenne” or ‘genuine’ smile is where the corners of the mouth and cheek are raised, the eyelid lowers and wrinkles or “crow’s feet” appear around the eyes. In the experimental study, half the participants were shown a print ad of celebrity Ricky Martin with a Duchenne smile endorsing the brand Logitech, while the other half were shown the same ad but with a fake smile, before being asked to rate their attitude toward the celebrity and intention to buy the product. Consumers who already held negative views of the celebrity reported significantly higher perceptions of celebrity genuineness when that same celebrity was featured depicting a Duchenne smile. Associate Professor Ilicic said the findings provided an interesting case point for marketing professionals worldwide. “It is not uncommon for a celebrity endorser to become entangled in controversy, like the infamous doping scandal surrounding Lance Armstrong in 2012 resulting in Nike terminating the endorsement deal,” Professor Ilicic said. “But what we’ve shown here is that the genuine smile can be a powerful tool for marketers in advertising campaigns because it could help them to overcome negative associations with the celebrity endorser and their brand in times of crisis or controversy. Dr Alicia Kulczynski, co-author and senior lecturer at the University of Newcastle, said a genuine smile also resulted in the greater likelihood of consumers going on to purchase the product being endorsed. “An authentic smile was also associated with an increased likelihood of consumers purchasing the brands’ product because of its power to change a consumer’s attitude toward the celebrity and the products they endorse,” Dr Kulczynski said.